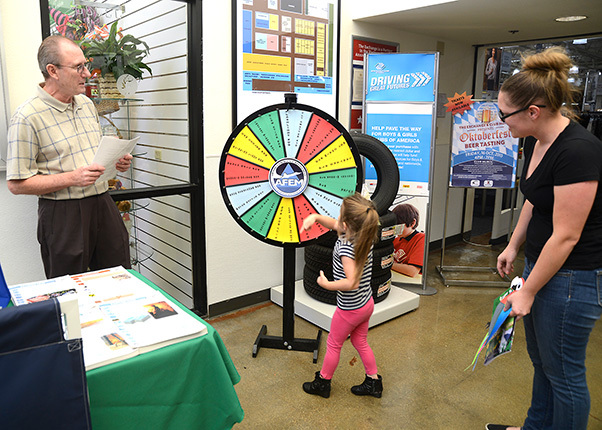 Russell Warner, 812th Civil Engineering Squadron, Emergency Management specialist, lets a young woman spin the Air Force Emergency Management Wheel to get a prize and answer an emergency preparedness trivia question last year. Edwards is taking part in National Preparedness Month events throughout September. September is National Preparedness Month, and Edwards Emergency Management is inviting everyone to come out to the Exchange lobby every Tuesday from 10 a.m. to 2 p.m. during the month to learn about preparedness on a variety of subjects, play a game and win a prize. Visitors to the display will be able to Spin the Wheel, where they can answer a question and win a prize. 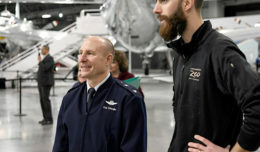 The events will help people learn about preparing for emergencies while having fun and winning prizes. In addition, Emergency Management will be inside the Exchange Express Gas Station during lunch hours on Thursdays during September with their prize wheel and emergency information. 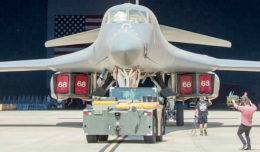 Read more about the different ways to prepare visit http://www.beready.af.mil/.